Apply to Sugarloaf Fall 2018 Tour! With a busy fall/holiday show season wrapping up, many of you are looking forward to some well-deserved downtime during the winter months. However, we know that many of you are artists too and received a lot of creative inspiration from seeing the work of other artists. If you’re a member of the maker community, or want to be, this is the perfect time to submit your application for Sugarloaf’s Fall 2018 tour! With a consistently high caliber and variety of handmade work across many mediums, Sugarloaf Craft Festivals rank as one of the choicest arts and crafts festivals in the United States. Our shows average approximately 10,000 visitors at each event - talk about a great opportunity to meet new customers face to face! Sugarloaf artists quickly grow a devoted following as area residents look forward to our spring and fall tours. Shoppers appreciate the quality craftsmanship that goes into handmade work as well as the originality of your work. Some customers drive hours to buy from their favorite artists! A hallmark of the Sugarloaf experience is the friendly, supportive community spirit and family-like atmosphere. You’ll enjoy continuous support both from Sugarloaf Crafts Festival staff and other artists appearing alongside you. At each show, you’ll meet new kindred spirits and re-connect with others, forming long lasting bonds. In addition to a strong artist community, Sugarloaf offers additional marketing resources and exhibitor perks. Returning exhibitors frequently praise our organization and helpfulness. With over 40 years of art and craft festival organization behind us, we have learned what works! 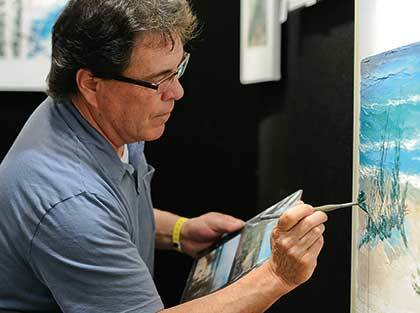 Learn more about the distinct advantage of being a Sugarloaf artist! Don’t miss this exceptional opportunity! Use our easy online application here! If you prefer, you can apply by mail. 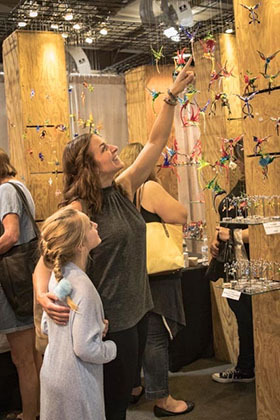 Do you still have questions about exhibiting at Sugarloaf Crafts Festivals? Check out our FAQ page or call us at 301-990-1400. Newer PostHappy Holidays to everyone! Older PostFall 17 Tour Highlights!